Airfix has been at the forefront of the model industry since 1955 when the first Airfix aircraft kit appeared in UK branches of Woolworth's. The kits were made to a constant scale and covered a wide variety of subjects, from aircraft to birds and from tanks to dinosaurs. In 1981 the famous London-based company closed down and only the kits survived intact. For the next twenty-five years Airfix was run by Palitoy and later Humbrol, but suffered from a lack of investment. In 2006, Hornby Hobbies Ltd, the train and Scalextric manufacturer, bought the ailing company and transformed it. Money and resources were ploughed into the range, and today Airfix releases around twenty new kits per year, designed to an incredibly high standard. The old kits of the 1950s and 1960s are gradually being replaced by new state-of-the-art tooling, all bearing that most prestigious name - Airfix. 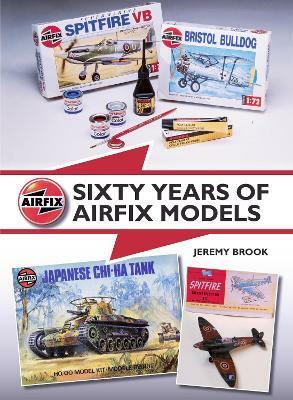 Published to coincide with the sixtieth anniversary of the first Airfix aircraft kit, Sixty Years of Airfix Models, tells the full story, year by year, of the company and its products.